1) Remove Revitalize - At one point I was also quite fond of cards that gain life, but they don't really help you win so much as they help you not lose. Even if this one draws a card too, it also is a card you need to spend so all it does is replace itself. 2) Remove Oakenform, Knight's Pledge - I tend to avoid Auras that buff creatures quite a lot unless there's certain circumstances. It's entirely too easy for your creature to die and for you to lose an extra card this way. The buff is tempting but it's too big of a draw back in my eyes. 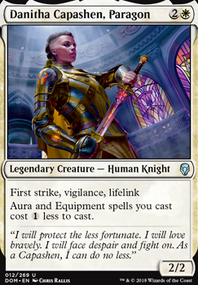 Squire's Devotion is a special case since it comes in with an extra creature. 3) Remove 1 each of Forest and Plains - This just looks like too much land, especially with the recommendations I'll be giving later on. You probably want to put yourself at 26 lands tops. 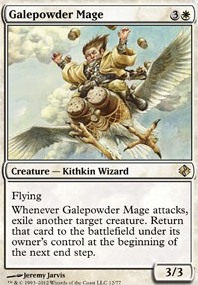 4) Move Plummet to your Sideboard - You already have a not insignificant amount of anti-air options. If the deck is strictly flying creatures, that's when you move in Plummet. 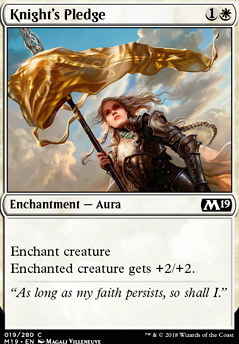 From your maybeboard, Naturalize or a different version Forsake the Worldly should also be sideboard material. 5) Inspired Charge - I'm not particularly fond of this card; you seem more interested in going tall than wide in this deck. But try it for now and see how well it works. It makes sense with your Mammoth, so I wouldn't outright cut it yet. 6) Llanowar Elves and Druid of the Cowl - The elves you have in here so far are good. You will definitely want more of these guys to make sure you can cast your big goofs as soon as possible. 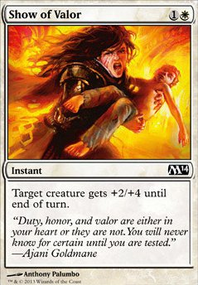 7) Rabid Bite, Take Vengeance, Gideon's Reproach, Divine Verdict - these cards are going to be your removal suite. They should all be main deck for right now, until you can find better options. Rabid Bite will always be prime for you, though. This is not a bad start for a deck that is a modified Welcome Deck. You'll definitely want some consistency so you'll want more of your best cards and less of your not quite as good cards. As always, practice makes perfect for deck building. Oh, I thought you had Knight's Pledge's. Novice Knight becomes so good if you have both in 4 times. I do think that Druid of Horns is good if you "missed" early game, also he isn't as effective if you can't give him Hexproof. For that purpose, I recommend Shalai, Voice of Plenty ! 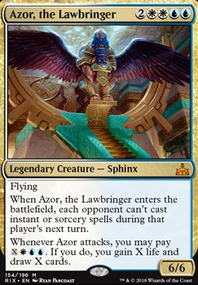 It's really good to give Hexproof to all your creatures, and she's in the right colors too. Also, I'm about to try a Rogue list, with 3-4 Dub's and History of Benalia's. I'll tell you how it goes if you want to. Joe9 on Selesnya Enchants ! 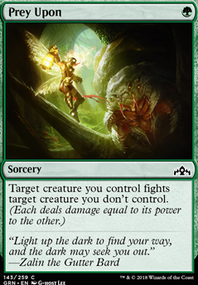 If you plan to add the Bant control aspects, Unbridled Growth will be important for both mana balancing and card draw tricks. I'd drop 1 Knight's Pledge instead. Looks pretty neat! Some substitutions I recommend considering are Bonesplitter for Darksteel Axe, Godless Shrine for Isolated Chapel or other lands, and Spirit Mantle/Unquestioned Authority for Knight's Pledge. 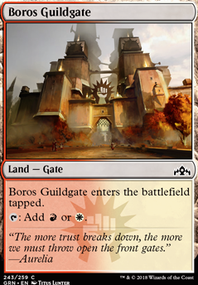 Also, History of Benalia would be insane in this deck.